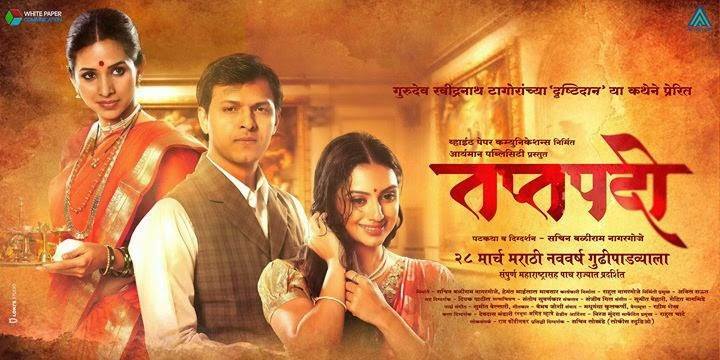 Based on Rabindranath Tagore’s short story, the film is set during the pre-independence era in Maharashtra. Meera has been staying with her aunt (Ashwini Ekbote) and uncle (Sharad Ponkshe) ever since her mother passed away when she was six years old. Over there, Meera develops a close bond with her cousin Madhav. As they grow up (as Veena Jamkar and Kashyap Parulekar), their friendship slowly blossoms into love. When Madhav is studying to become a doctor, they get married. The couple is enjoying their marital bond until Meera has a miscarriage. There’s further agony in store for her when she becomes disabled. This results in another woman Sunanda (Shruti Marathe) entering Madhav’s life. Will Madhav betray Meera by marrying Sunanda? Adapting Rabindranath Tagore’s story on celluloid in a different cultural setting and that too in your first film is no mean task. Debutant Sachin Baliram Nagargoje does show signs of maturity in his adaptation of the legendary writer’s tale in his Marathi filmTaptapadi. However, few problem areas stop the film from being superlative. Nevertheless, it is worth watching once due to Veena Jamkar’s outstanding act. Although the story takes place in the very olden days of the pre-independence era, it is shot and narrated in a completely new age manner. As a writer, Nagargoje has used simple yet smart techniques to connect scenes and take the story forward. The important and delicate issue of Meera’s disability too is introduced and developed intelligently. Santosh Suvarnakar’s artistic camerawork is also something that makes the film a visual treat. However, all is not hunky dory for Taptapadi. The film loses pace after a point in the second half. But there are two other questionable aspects that hurt the most. Firstly, the change of heart of an important character doesn’t appear convincing. You can’t ignore this point since it is an important development in the story. Lastly, although the twist at the very end takes you by surprise and appears pleasurable, it is incomplete and lacks proper logic. It also brings back memories of Sarat Chandra Chattopadhyay’s Parineeta. 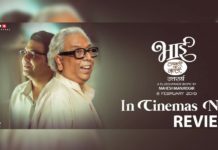 Sumeet Bellari and Rohit Nagbhide composed songs are soulful and apt for the situations but a couple of songs affect the narration. The background score is as per the need. Talking about the performances, it is Veena Jamkar all the way! She gets into the skin of a difficult character and produces a performance that is worthy of all the applause. In fact, this will be one of the talked about acts of her career. 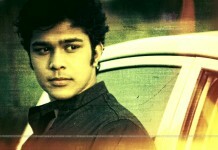 Kashyap Parulekar too plays his part perfectly. It’s just that he doesn’t appear a college student on few occasions. Neena Kulkarni, as Madhav’s aunt, is excellent as the regressive and manipulative lady. You just love to hate her! Shruti Marathe fits the character well and gives a good performance. As Meera’s brother, Ambarish Deshpande is perfect as the revolutionary and a protective elder brother. Sharad Ponkshe and Ashwini Ekbote and the rest of the supporting actors offer decent support. Taptapadi is a one-time watch, mostly due to Veena Jamkar.